As had been expected over the last 24 hours, managers at the Flight Readiness Review (FRR) approved the February 24 launch date target for Discovery’s final trip into space on the STS-133 mission. With flight rationale for the modification to the External Tank (ET-137) stringers the main discussion, ATV-2’s docking – just hours before Discovery is due to launch – was also debated. Engineers have the weekend to work any issues with the STS-133 stack at Pad 39A, although as of Friday all Interim Problem Reports (IPRs) had been cleared. Discovery is scheduled to begin S0007 operations (Launch Countdown) on Monday at 3pm Eastern. “PR (Problem Report) HYD-1417 update: Engineering evaluation is complete; an MR (Material Review) report will be processed accept the nick in the hydraulic tube as-is,” noted the latest NASA Test Director (NTD) report (L2), clearing the final issue in the recent pad flow. Up next for Discovery will be the pressurization of her Main Propulsion System (MPS) – also known as S0071 operations – with Call To Stations (CTS) on the schedule for Sunday afternoon, while the S0007 Launch Countdown pre-test briefing was held on Thursday. “ET vent line closeout and ET/IT (Intertank) access arm retract were completed Thursday. Preps for S0071 Hyper/MPS pressurization are in work. CTS is planned for 1400 on Sunday. S1287 aft closeouts continue; flight door installation should occur late Friday evening,” added the NTD report. Preparations on the pad itself are also proceeding without issue, as the GO2 system recharge was completed, ahead of a SCAPE (Self-Contained Atmospheric Protection Ensemble) operation is planned for Friday at the oxidizer farm to remove and replace a flodyne meter, a transducer, and a pressure relief valve. With the one day delay to Ariane 5’s successful launch of ATV-2, a late discussion was required on the potential impacts of Discovery’s February 24 launch date – given the European resupply craft is due to dock with the orbital outpost just hours before Discovery is due to launch – around the time of tanking. It was expected STS-133 would be pushed back one day to February 25, avoiding the small potential of a problem during ATV-2 docking – one which would impact Discovery’s arrival just a few days later – likely resulting in a scrub during Discovery’s tanking. “The team continues to target Thursday, 2/24 for the launch of STS-133. The ISS program is working options to preserve the 24th, and the official launch date will be set at the FRR today,” was again noted on Friday, backing up the internal notes that managers were working towards the avoidance of a one day delay to Discovery’s launch date. 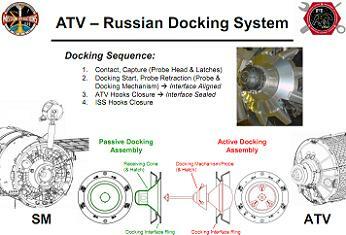 Should ATV-2 suffer from an issue during docking – an issue directly affecting Discovery’s docking – STS-133 would standdown for 48 hours until the 26th, as opposed to a 24 hour scrub turnaround. With the FRR approving the launch date, notes from the L-5 FDO (Flight Dynamics Officer) trajectory data review for the prime launch date of February 24, 2011, noted some interesting areas of debate relating to ATV-2 delay and the target launch date of STS-133. “This data assumes an ATV thruster test (ISS reboost of 0.5 mps) on FD2 (Flight Day 2 for STS-133 (2/25/11)) prior to the NC2 burn. Since ATV launched 1 day late and will now dock on 2/24, this ATV test burn may not occur on this date. This trajectory is valid whether or not the ATV test burn occurs. If the magnitude of the test burn increases to 1 mps, this data is also still valid,” the FDO notes (L2) added. BLT DTO – the Boundary Layer Transition Detailed Test Objective – measures the effects of increased heating from an early boundary layer transition as the orbiter returns to Earth. The DTO was set to debut on STS-126, before being deferred to STS-119. 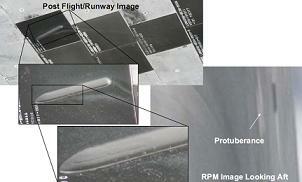 Discovery is riding with a 0.5 inch protrusion – which is the largest to fly on the BLT DTOs thus far. She is also being tasked with another entry-related DTO on behalf of Orion via a “Catalytic Coating” which has been applied to two of Discovery’s Thermal Protection System (TPS) tiles, providing Orion – and shuttle – engineers with refined aeroheating data. The FRR also noted that discussions are continuing into a flyaround of the ISS – with Discovery docked – by a Russian Soyuz. (Numerous articles will follow, once again reviewing the External Tank modifications and other items of interest from the FRR – 50 STS-133 FRR – and numerous ET-137 specific – presentations are available on L2. L2 members refer to STS-133 live coverage sections for internal coverage, presentations, images and and updates from engineers and managers – which will ramp up into full Flight Day coverage during the mission. Images used, via L2 and acquired PRCB presentations).